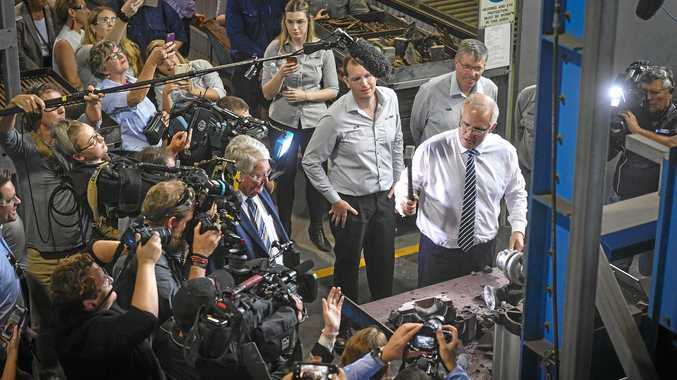 PETER Greste, the Australian journalist freed on Sunday after 400 days in an Egyptian prison, said he felt intensely uneasy about two colleagues who are still in jail, as lawyers warned of obstacles to either man being similarly released. In an interview with Al Jazeerea, the television station for which the three men were working when arrested after the 2013 military takeover, Mr Greste said: "I feel incredible angst about my colleagues, leaving them behind. "Amidst all this relief, I still feel a sense of concern and worry. If it's appropriate for me to be free, it's right for all of them to be freed." The three men were accused of spreading false news and supporting the Muslim Brotherhood in a trial which human rights activists said was a politically motivated sham. Lawyers said the law under which Mr Greste is to be deported to Australia, ostensibly to be retried there, cannot be applied to the case of Baher Mohamed, a producer and Egyptian citizen, who was sentenced to 10 years for possessing a spent bullet he had picked up at a protest. Mohamed Fahmy, the channel's bureau chief who is a dual Egyptian-Canadian citizen, could only be deported if he gives up his Egyptian citizenship. 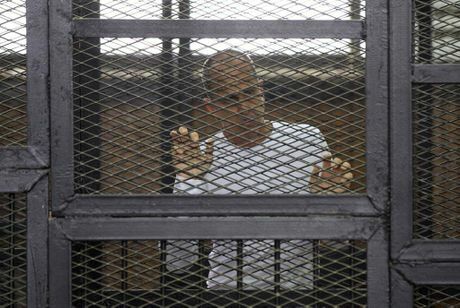 Mr Fahmy was sentenced in June, along with Mr Greste, to seven years in jail. On 1 January, the Court of Cassation granted all three a retrial, cancelling their original sentencing and convictions, and raising hopes among lawyers for their eventual acquittal. But they were all denied bail. Mr Greste's deportation was carried out under a law approved by President Abdel Fattah al-Sisi in November, which allows foreigners in Egyptian jails to be transferred to their own countries for retrial. The United Nations Secretary-General Ban Ki-moon welcomed his release and hopes that the cases of Mr Fahmy and Mr Mohamed would be "resolved shortly", a spokesman said. Mr Greste described to Al Jazeera the moment he discovered he was being freed, after months of campaigning by supporters around the world. "I wasn't expecting [to be released] at all - I woke up thinking of the campaign ahead of us," he said. "I went for a run and the prison warden called me over and told me it's time to pack your stuff. He told me the embassy is coming. "There was a mix of emotion boiling inside: a sense of relief and excitement, but the stress of having to say goodbye to my colleagues. He called for the release of Mr Fahmy and Mr Mohamed, whom he said he had got to know in prison and regarded as "family: they're my brothers". Mr Mohamed had suffered the most in prison because he had missed the birth of his child, Mr Greste said. "For Egypt, this has been a big step forward, I hope Egypt keeps going down this path and releases the others," he said. But speculation by a security source on Sunday that Mr Fahmy, at least, was to be released within days and deported to Canada appeared to be premature. Negad el-Borai, one of his lawyers, said he was still in jail awaiting a new trial date. To be deported like Mr Greste he must first relinquish his Egyptian citizenship and be a fully foreign individual, Mr Borai said, a move which he described as "a very personal decision". Gamal Eid, a human rights lawyer, said Mr Greste should have been released because he is innocent - there being no credible evidence presented against the journalists in court - rather than under a law that discriminates against Egyptians. "The scandal now is that Mohamed Fahmy will not be released unless he relinquishes his Egyptian citizenship. It's as if they're giving him the choice between his citizenship and his freedom," he said. Baher Mohamed's wife, Jihan Rashed, objected that it was unfair that only foreign journalists might be released. "Are foreigners the only human beings? Is the Egyptian not a human being as well?" she asked. The producer's lawyer, Mostafa Nagy, said Mr Mohamed had no alternative to awaiting the outcome a new trial, although he would be applying for release on bail meanwhile. Only after a final verdict could a presidential pardon be sought, he said. Meanwhile an Egyptian court sentenced 183 Muslim Brotherhood supporters to death yesterday on charges of killing police officers, part of a sustained crackdown by authorities on Islamists. The men were convicted of playing a role in the killings of 16 policemen in the town of Kerdasa in August 2013 during the upheaval that followed the army's ousting of the Islamist elected President, Mohamed Morsi. Thirty-four were sentenced in absentia.